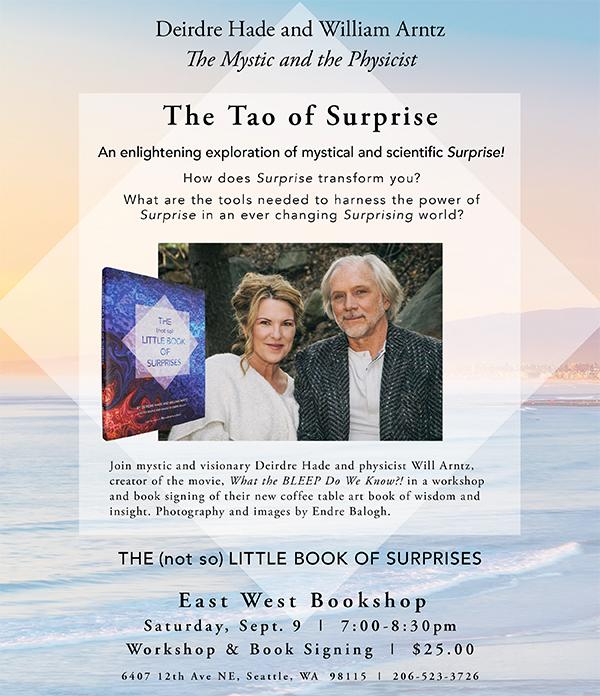 Tune-in for Physicist William Arntz, a co-author with Deirdre Hade, of the new coffee table book The (not so) Little Book of Surprises, as he explores the power of surprise in transformation. William Arntz, the creator of the film “What the BLEEP do We Know,” and Dr. Pat discuss how the ‘You’ before a surprise is different from the ‘You’ afterwards emotionally, spiritually, and physically. Learn practical tools to unblock any unconscious resistance to the wonder that knocks at your door every day, fun ways to surprise yourself and kindle a little magic and awe in your life, and poems and lessons from their book.